Your digestive health is essential for an overall healthy life. Digestion is how we absorb nutrients and keep our bodies functioning. To ensure optimal digestive health over time, here is a list of supplements you can take. Foods like fruits and vegetables contain plenty of fiber, but many people don’t consume enough of these essential foods in their diets on a daily basis to get the recommended amount of fiber they need for healthy digestion. Those who do not get enough fiber from eating a balanced diet can choose to take a fiber supplement to ensure they are introducing enough fiber into their system to allow for the proper digestive steps to take place on a daily basis. This supplement contains a combination of a few different key sources of fiber and comes in an easily mixable powder that you can add to your favorite beverage or shake to get the additional fiber you probably need in order to have the healthiest possible digestive system. Each serving gives you five additional grams of fiber for only 10 additional calories. Your digestive system is not just about processing waste. First, the nutrition in your food needs to get absorbed. Digestive enzymes are what help do this by breaking down your food when you eat it. Some people have problems absorbing the nutrition in the food they consume, which can be a huge problem and can cause them to not be able to get enough nutrition no matter how much they eat. Digest-ALL’s claim is that as we age, it becomes more difficult for our bodies to produce the right amount of digestive enzymes in order to keep up with what we need to continue digesting our food properly. So MRM offers this supplement to help you continue to produce the appropriate amount of enzymes as you age so you can potentially experience fewer digestion problems related to absorption when you start to get older. 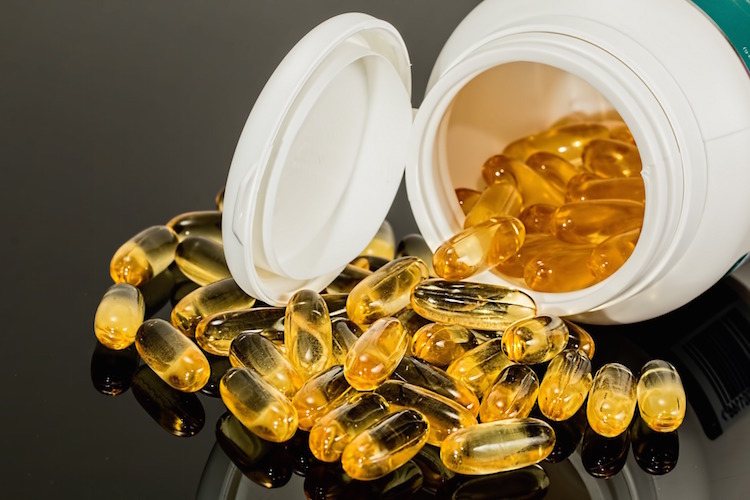 One problem you might find you have if you are a regular supplement taker is that sometimes you have to take five or more different supplements to get all the health benefits you think you need in addition to the real whole foods you eat. There is one way to minimize the number of different supplements you need to take, and that is by choosing a specific supplement that gives you the benefits of multiple in just one one individual tablet. Orange Health IQ has so many different ingredients packed into one simple supplement that it claims to be able to replace many of the supplements you may already be taking. Ir promises to aid a number of different organ systems including your digestive system. You will benefit in a variety of different ways from adding this supplement to your regimen as soon as possible. Both probiotics and prebiotics are important for digestive health. People can easily get them from specific foods, but you can also take supplements to supply your digestive system with good bacteria and provide a favorable environment for them to grow and thrive in your gut. This particular supplement is dairy free, wheat free and gluten free. It is also safe and acceptable for people who are vegetarians and vegans, meaning it does not contain animal products of any kind. So if that is one of your concerns when selecting a digestive supplement, this is likely a pretty good option for you. If you eat food regularly, then obviously you are going to want something to help you better digest all that food. There can be little to no harm in making sure you have enough enzymes to perform this natural bodily process, so the best solution in this case would be to take a supplement for it. This supplement is gluten free and GMO free, and it contains no additives. It has not had any colorings or flavors added to it. It does not contain soy, but it does contain the extra enzymes you want to help you digest the carbohydrates, fats and proteins you are getting from the whole foods you are consuming on a daily basis. Apparently dandelions are much more than weeds you pull up in your backyard, but that doesn’t mean you should start letting them grow wildly in your freshly tamed grass. While it is not recommended to eat dandelions right off the ground (you really don’t want pesticides in your system if you’re worried about digestion … or anything else), their roots thankfully come in a supplement form. Dandelion roots, or the extractions of them anyway, can really help keep your digestion in check. They contain a lot of essential fatty acids (meaning the ones your body is not capable of making on its own) as well as plenty of vitamins and minerals. The combination of all these ingredients can do wonders for your digestive health, so it is definitely worth a try. People are busy, so busy that there never seems to be enough time to consume the proper servings of fruits and vegetables a day. Why try to fit in five to nine servings of whole fruits and vegetables when you can just take a supplement? After all, the more fruits and vegetables you consume throughout the day, the healthier you can hope to be in the long term. Green SuperFood Powder contains ingredients from organic whole fruits and vegetables, so you can just take a capsule or use powder instead of consuming real fruits and vegetables. This supplement provides antioxidants, includes a variety of probiotics and enzymes for your digestive health and can even increase the amount of plant based ingredients you get in your diet. It is also considered to be organic. Stay healthy with one or more of these great digestive supplements.